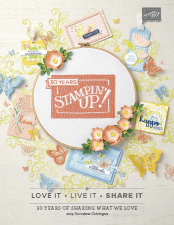 Birthday, Blog Hop, Butterflies, feminine, Kids Cards, Retired Products Lists, Stampin' Up! Tonight I am participating in a blog hop along with the super talented ladies in the Art With Heart Team. We thought it would be fun to share some projects using our favourite retiring products from both the 2016-2017 annual and 2017 occasions catalogues! Blog Hops are full circles, so you can start hopping here and then at the end of each post is a link to the next one. There is also a list of participants at the end in case of any broken links. You have come to me from the talented, Rachel Palmieri! For my first project, I have used my favourite suite, Cupcakes and Carousels! Oh how I love this Designer Series Paper. It is so bright and colourful and definitely in my colours that I really love to work with. Don’t the layers look wonderful?! The carousel is gold embossed twice. The bottom layer was directly onto the square white card and the second was die cut with the circle die. Not sure if you can see that lovely gold shine? The cupcakes are stamped and die cut and added with dimensionals. I cased this from a card I saw browsing Pinterest by Crafty Little Peach. My favourite products from the annual catalogue would have to be the Papillon Potpourri stamp set. 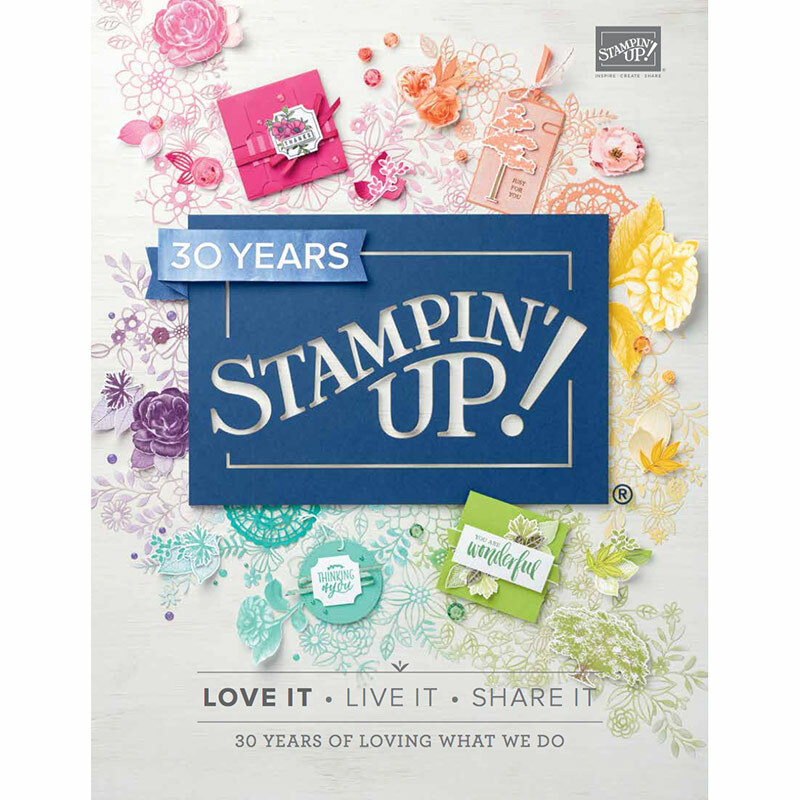 This was the very first Stampin’ Up! stamp set that I purchased in my starter kit and has always been a favourite. I’m not sure I will ever be able to give it up! In this card, I have also used the retiring Elegant Butterfly punch, Lovely Lace TIEF, the Subtles Designer Series Paper and the Very Vanilla 1/4″ Satin Ribbon. and those gorgeous mini pearls… they won’t be around any more either, but don’t fear, the packs have been reconfigured and will return in a different format! This card is the same design as the one above, however, I have used the retiring Happy Hearts TIEF (this really was one of my favs!). Yes, I am going to miss these products, but I am not going to dwell on that, as I sure am excited about the upcoming annual catalogue and the new In Colours. It is full of gorgeous new items and the large colour pages are so inspiring, you won’t be disappointed! Let’s keep this blog hop hopping. Next up we have the lovely, Judy May. All of your cards are beautiful, Kate. My favourite is the butterflies in pink; glorious! Your cards are gorgeous, but I especially love the pink butterflies, Kate. So very soft and pretty. Love the cupcakes and Carouses cards, but WOW, your butterfly cards are amazing! The sponging and hint of black look so great with the embossed backgrounds. I absolutely love the butterfly card. Will be CASE ing this. I really love the butterfly cards, I am really going to miss these punches as I use them a lot for multiple designs.